The Mapuche are an indigenous people living in south-central Chile and Argentina along the Andes Mountain range, with the Bio-Bio River as a northern border. The name “Mapuche” is composed of two parts: “Mapu”, which means land; and “che”, which means people. The Mapuche call their language Mapudungun. Their socio-cultural and political relations have always been shaped and complemented by their spirituality, their religious beliefs and the strong relationship between man, land and nature. The Mapuche belong to the tribe of the Araucanians, whose ancestors moved to the region now known as Chile 12,000 years ago. Before the Spanish arrived in 1541, the Mapuche occupied a vast territory in the “southern cone” of the continent and the population numbered about two million. The Mapuche nation comprised both settled and nomadic communities, hunters, shepherds and farmers, living in small family groups which were under the authority of a lonko (chief) and formed part of bigger regional communities. The Mapuche are the only South American indigenous group that withstood not only the attacks of the Inca but was also never conquered by the Spanish colonialists. 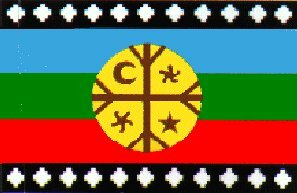 Today, the Mapuche people have lost control of most of their territory to Argentina and Chile. Their way of life has been dramatically eroded by governmental politics and “development” projects. In spite of the democratisation process in Chile, human rights violations against the Mapuche continue and the government uses anti-terrorism laws initiated in the Pinochet era against them. The Mapuche are subjected to racism, repression and social exclusion on a daily basis and in all walks of life, while their ancestral lands are being auctioned off to large-scale agro-businesses. The Mapuche were represented at UNPO by the CIM. The objectives of the council were to improve the Mapuche’s standard of living, the preservation of the Mapuche culture and the restitution of ancestral lands, as well as the exercise of the right to self-determination.